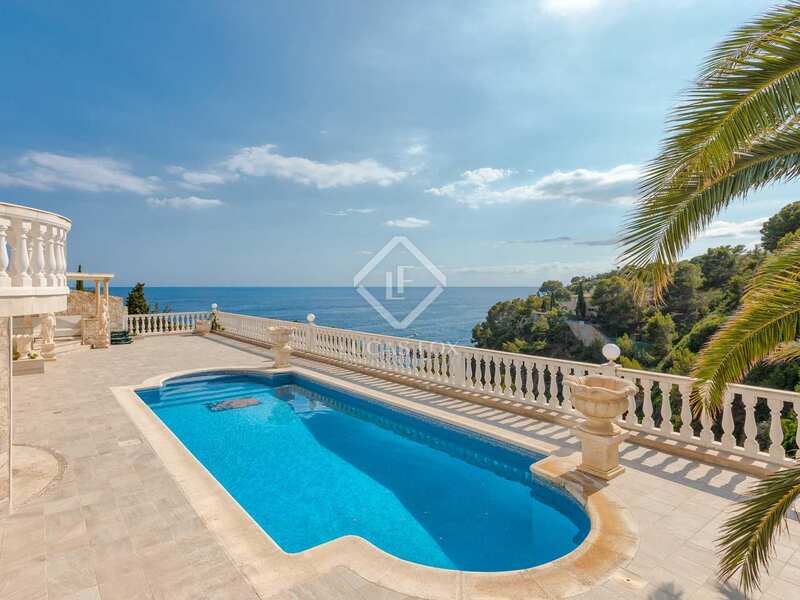 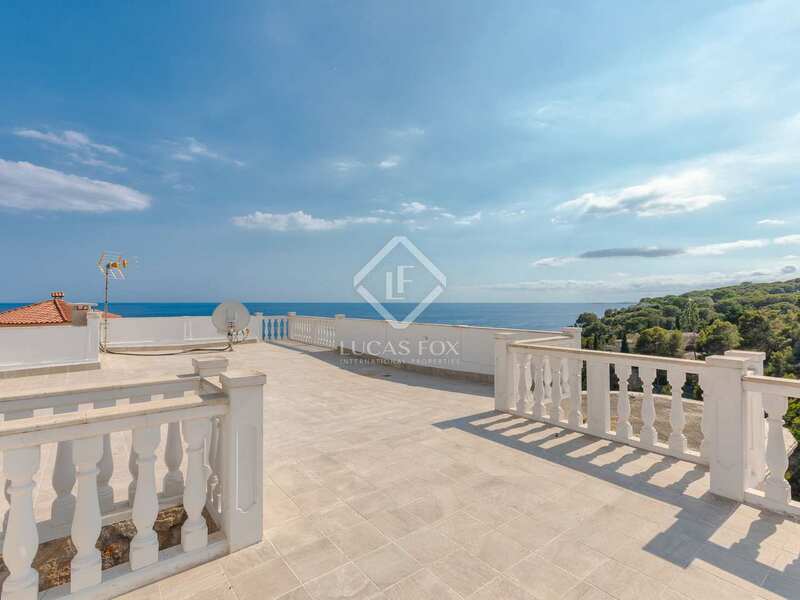 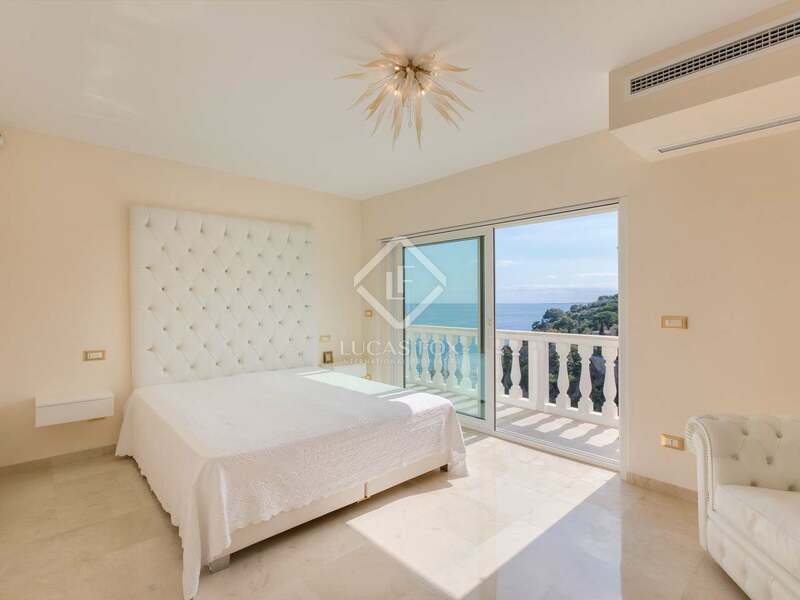 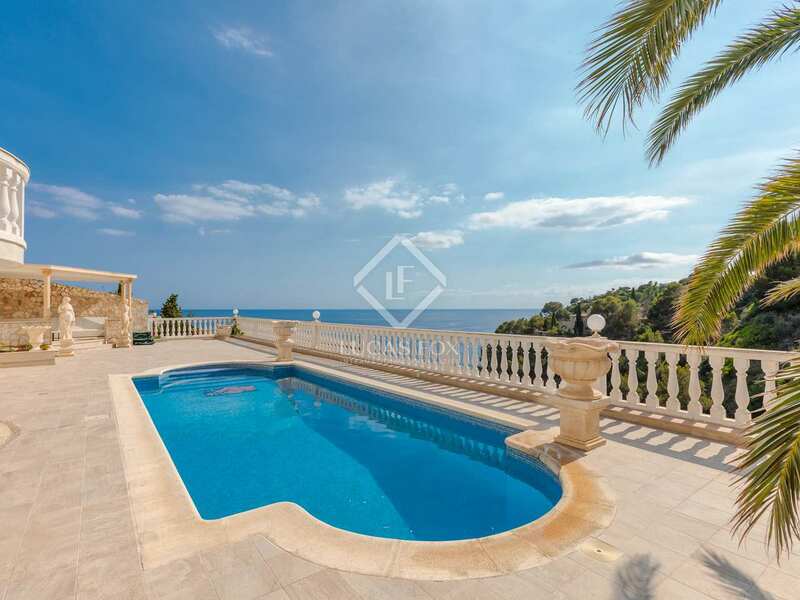 Spectacular 4-storey villa with a swimming pool, situated right in front of the sea with wonderful views, in Lloret de Mar. 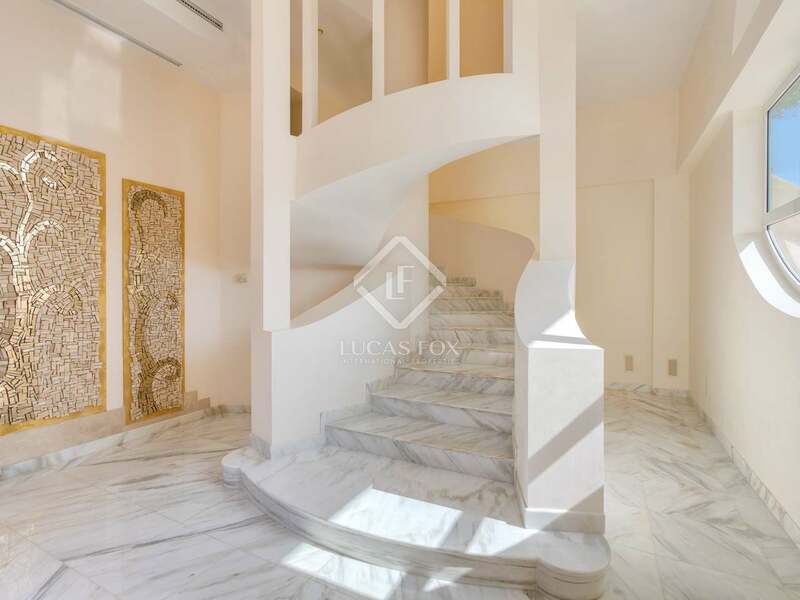 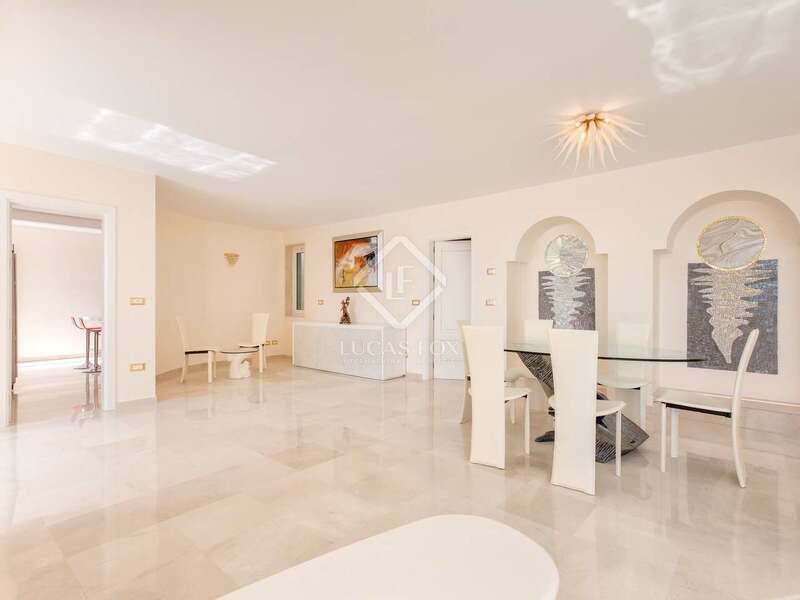 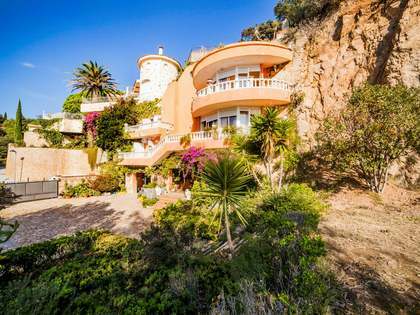 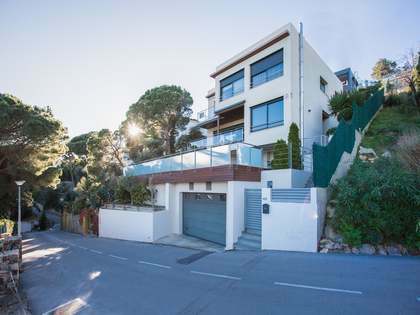 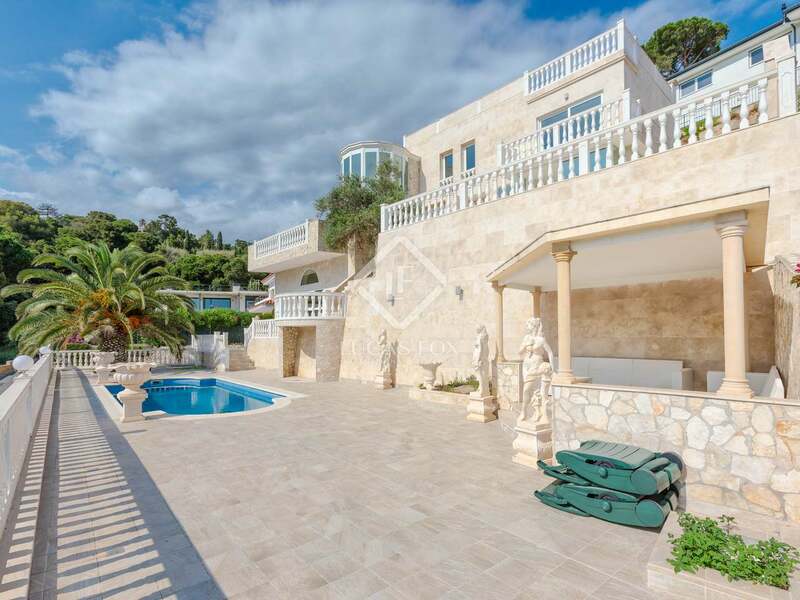 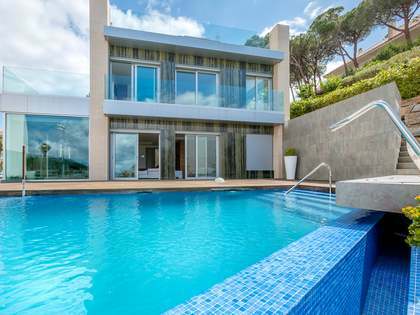 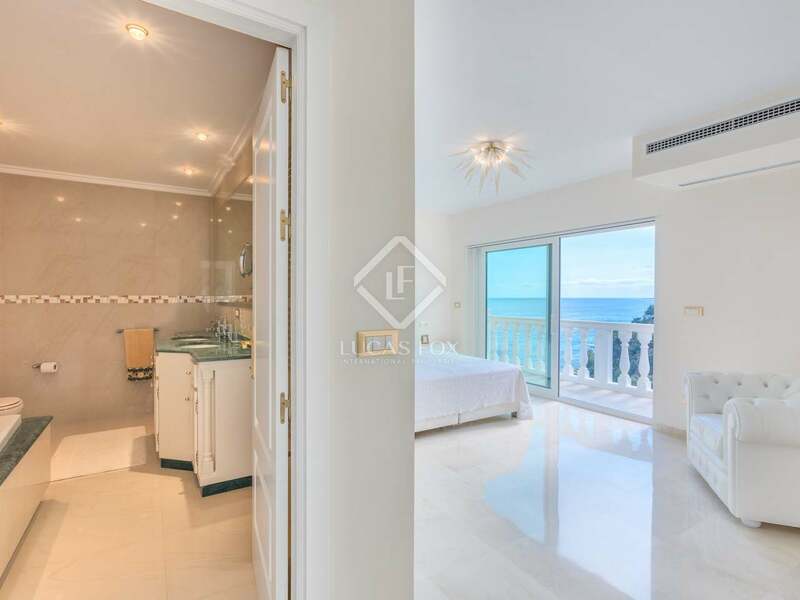 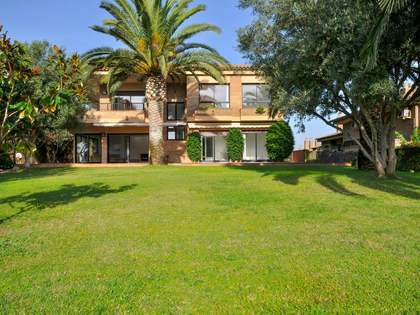 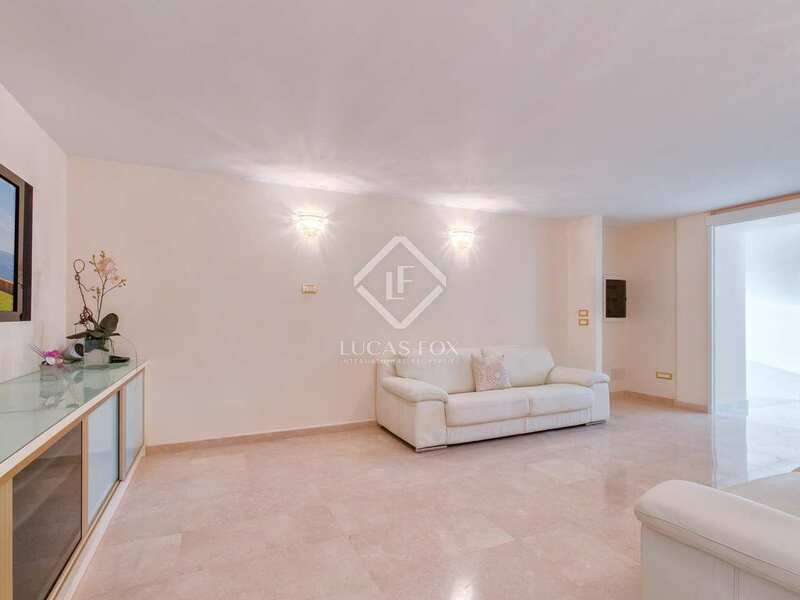 This impressive villa enjoys a great location directly on the seafront in Lloret de Mar. 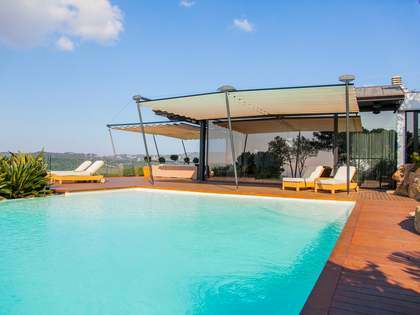 It is organised over 4 floors, with a swimming pool, a chill-out area and various places to relax on the entrance level. 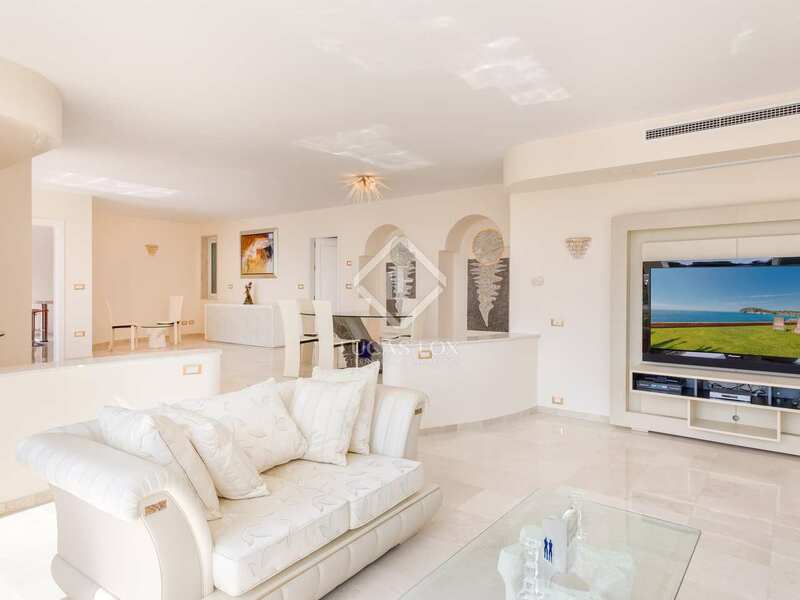 On the next level we find a lounge, a bathroom and laundry room as well as several other rooms. 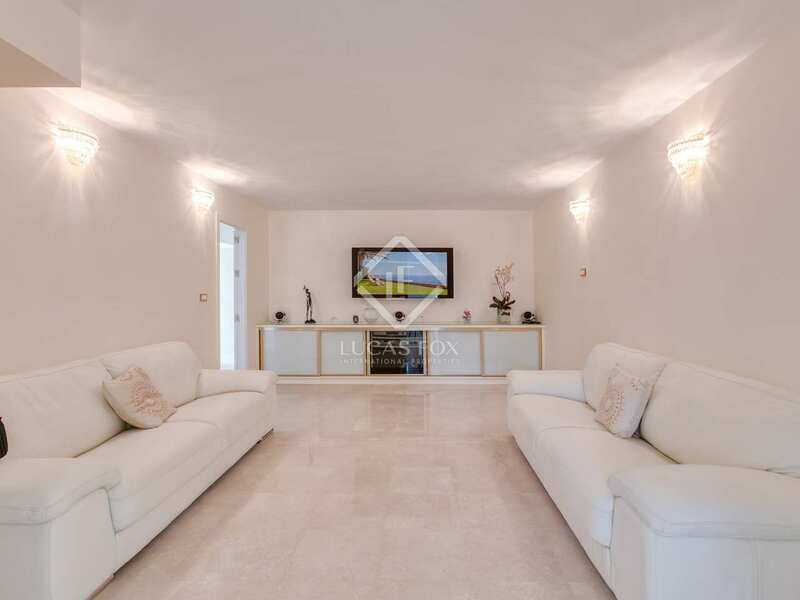 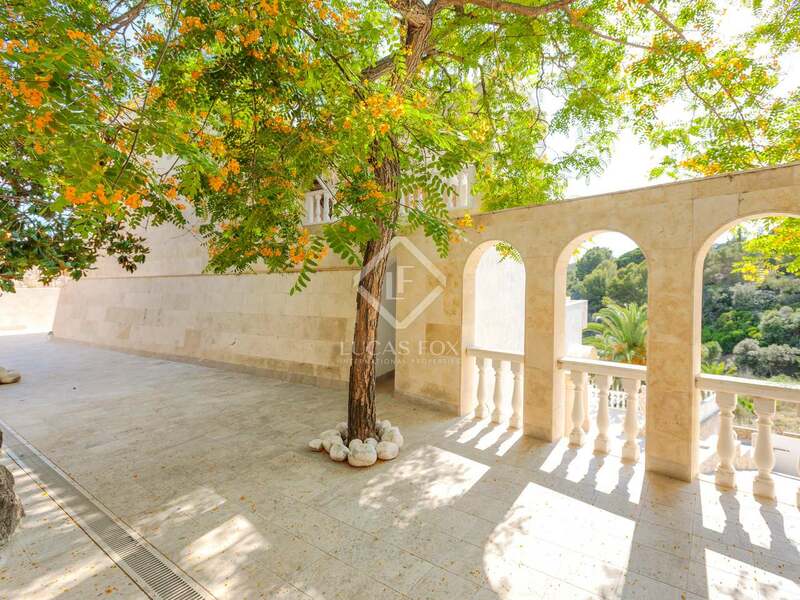 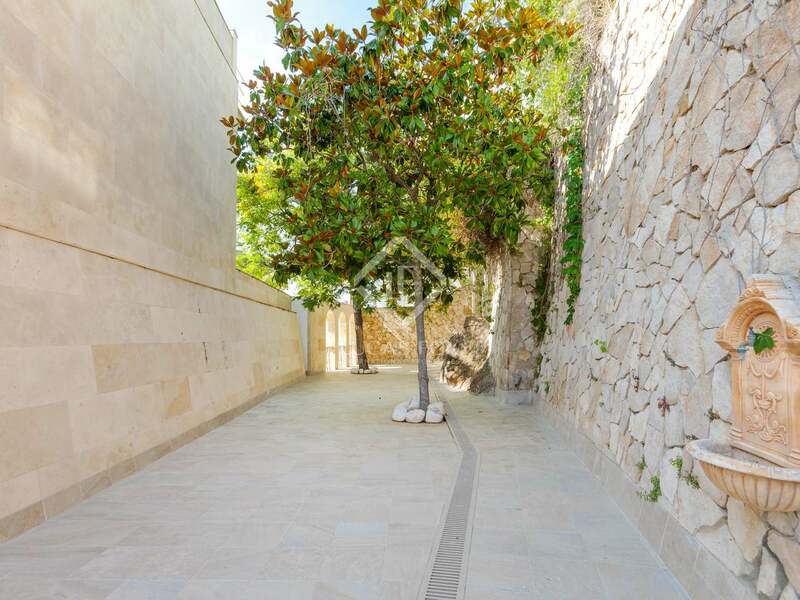 This lower part of the house offers great potential for use as a leisure area with a home cinema and spa for example. 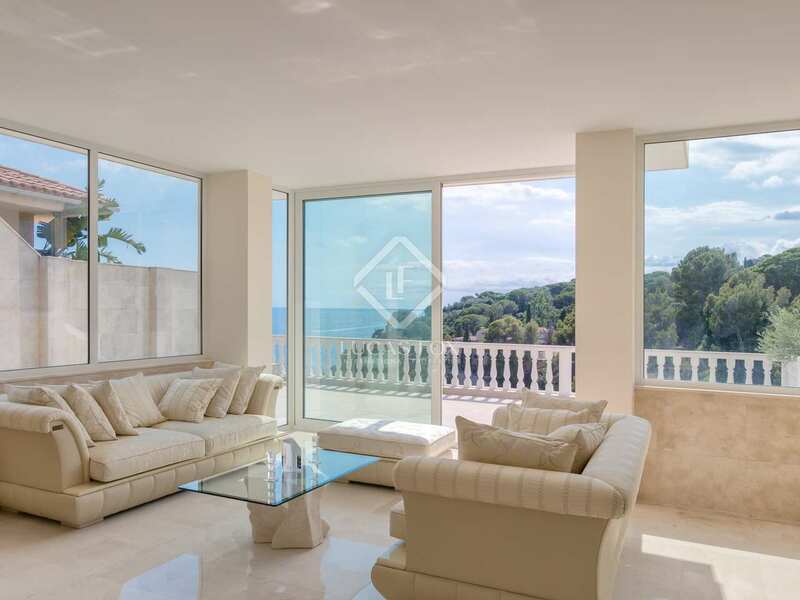 Going up another level we find a large living room which is spread over 2 levels and enjoys access to a terrace with panoramic sea views, a bathroom and the kitchen with access to a large porch. 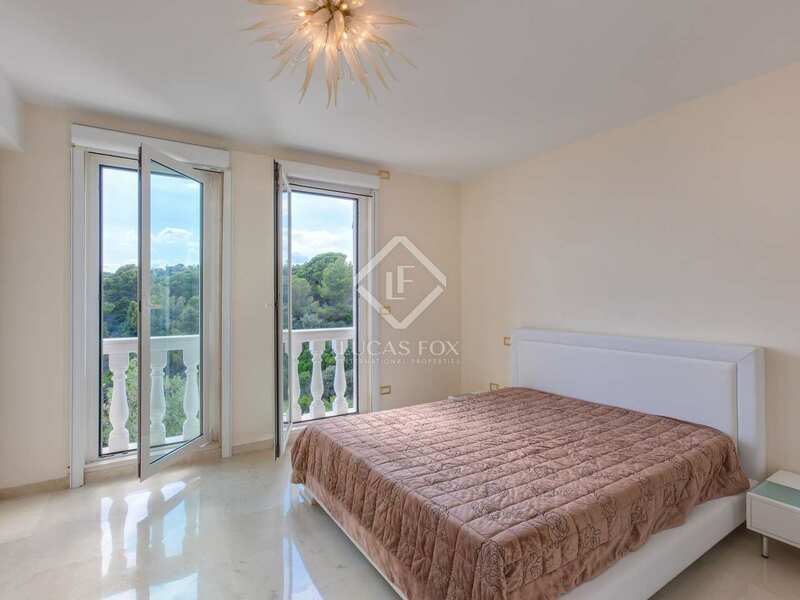 The night area is on the next floor up and offers 3-ensuite bedrooms. 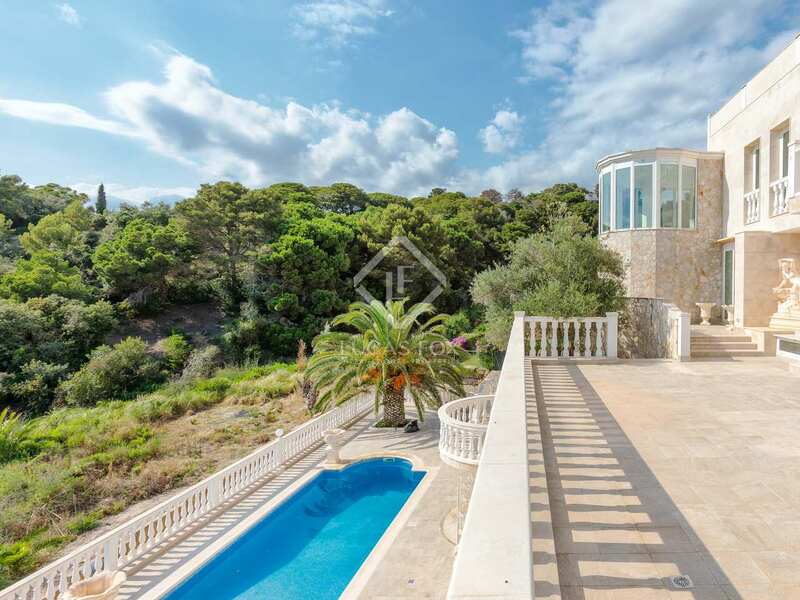 Above this, on the top floor, is the solarium with splendid views. 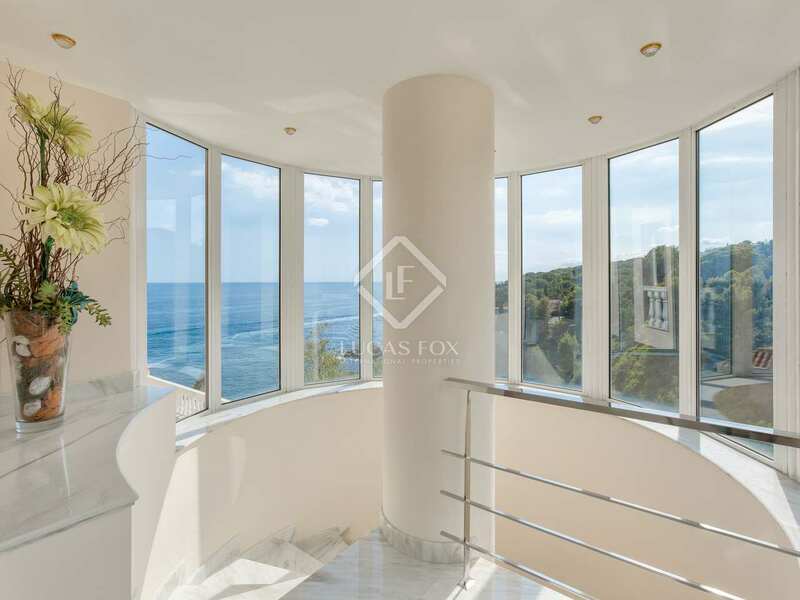 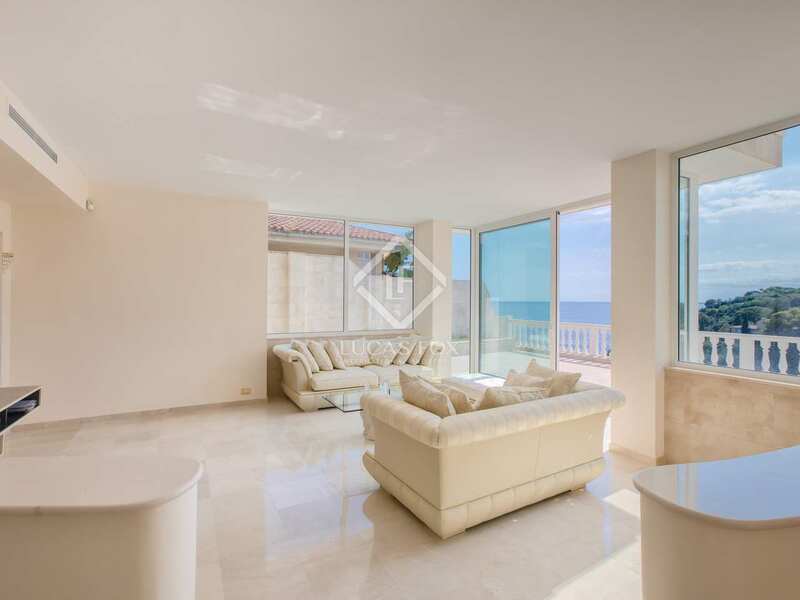 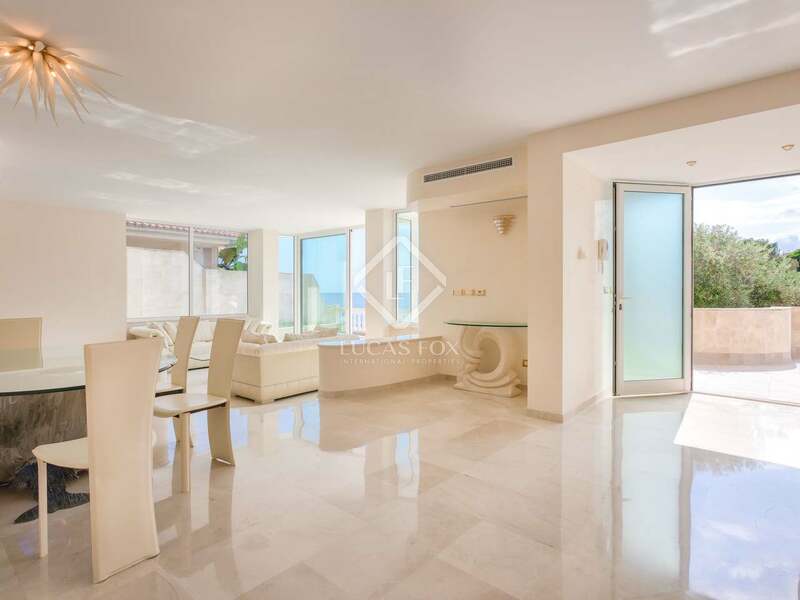 Polished marble floors, large windows and balconies combine to create a bright airy atmosphere with gorgeous sea views at every turn. 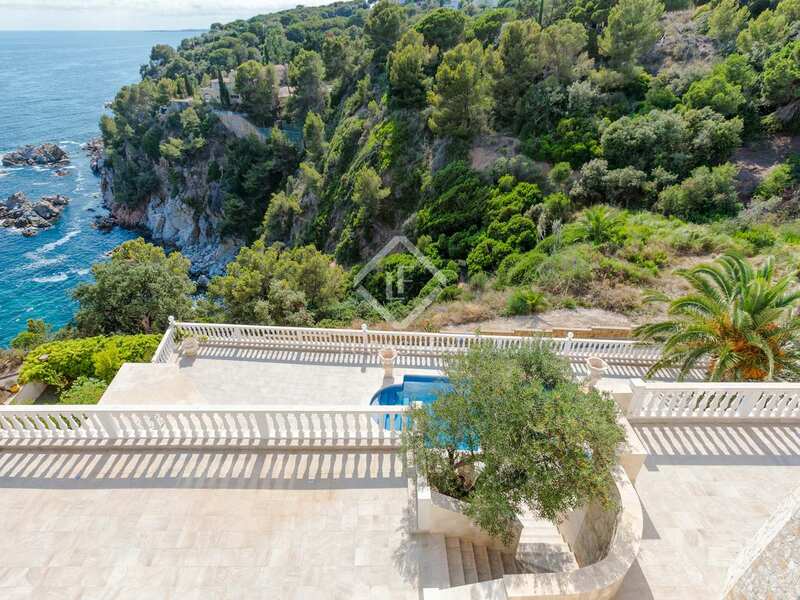 The whole villa is brimming with attractive features and high-end finishes that make it a beautiful, luxury Costa Brava home. 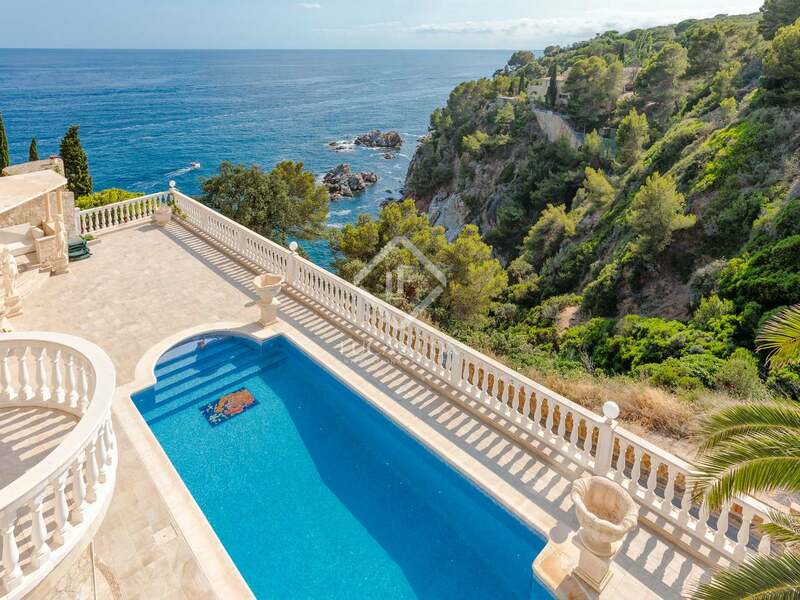 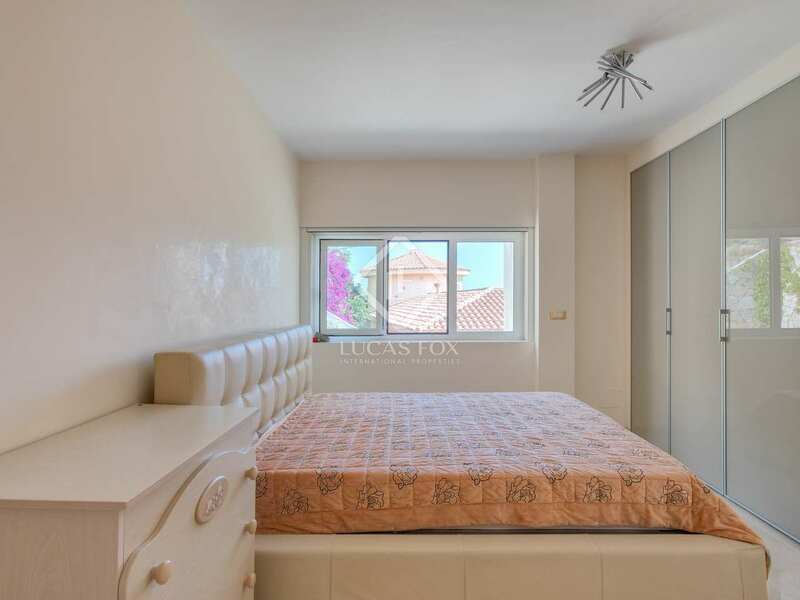 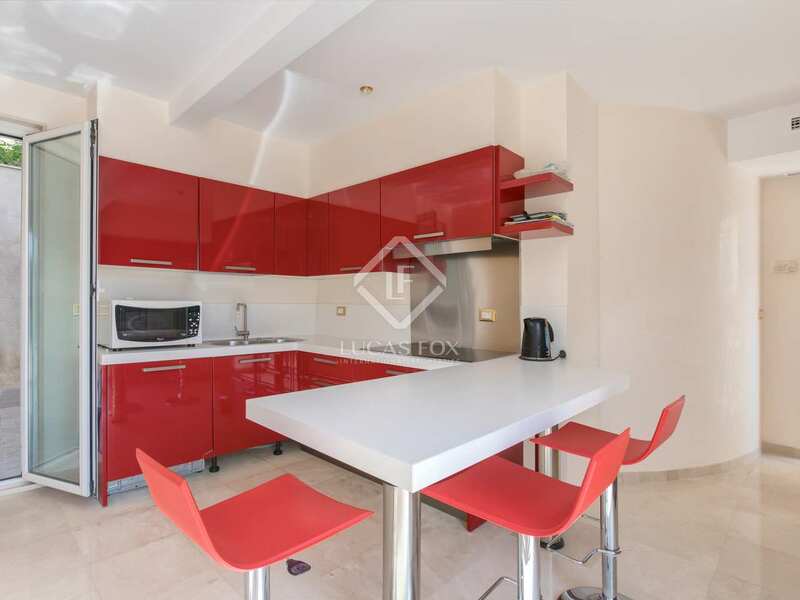 This property enjoys a good location on the Costa Brava within the municipality of Lloret de Mar, close to the town which offers a variety of services as well as lovely beaches.